Dare to think outside the box! God is the creator of Wisdom and Knowledge and a mind aligned to Him can influence the world. That means YOU! We are called to think differently, with a kingdom perspective and that is the heart behind “Think Tank”. This initiative launched on November 2017 is a partnership amongst YWAM Urban Key, YWAM England’s- Centre for International Justice and Reconciliation, and YWAM Burtigny. We challenge ourselves as YWAMers and Christians to think and to rethink on how we could be more effective and influential as missionaries in the different areas of society with the issues that our world is facing today. We gather together once a year and attend the United Nations Office in Geneva Peace Week. We seek a fresh perspective, to bring the truth; a new reformation for our society as we follow the footsteps of the forefathers of the Protestant Reformation. Think Tank is a 5 day long conference, where there will be guest speakers sharing different views on how we as a missions organization can be influential, effective and active in today’s society as we maintain the core values of the University Of The Nations. There will also be discussions on different global trend topics, where we will explore different issues and approaches that could be taken through a biblical Christian worldview. 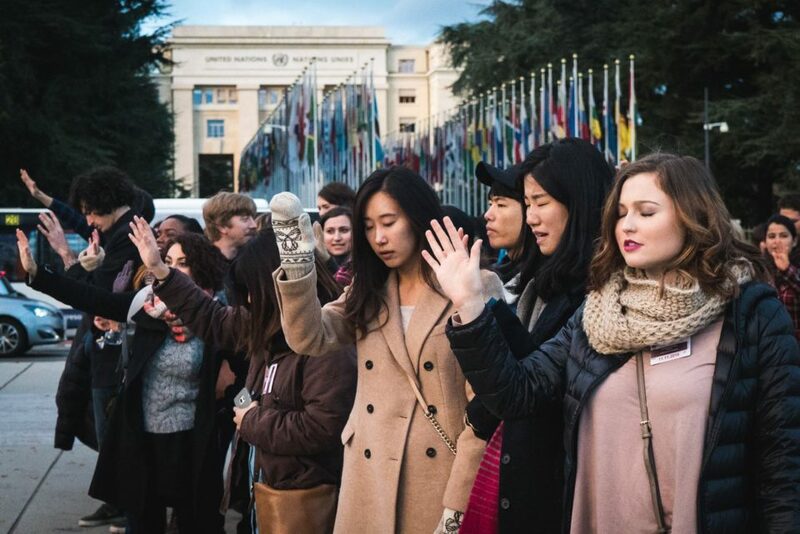 One of the days YWAM will be hosting a conference within the United Nations, where everyone at the think tank event will partake in. The name of the conference is ‘Healing the Wounds of War: building bridges of peace with creative grassroots community solutions’ that will take part in the Geneva Peace Week. The conference will be hosted by Peter Irwin Clark, CEO of CIJR, and Rosana Escobar Liste, CAO of CIJR. The conference will have three main guest speakers, Catherine Gladwell, director of Refugee Support Network, Wikus Vorster, Director of Operation Refugee and Jean Gapelbe, Coordinator for Planting together. The Think Tank conference takes place November 5th-9th 2018. This event is annual so confirm and check for next dates. The conference will be held in Burtigny, Switzerland. You can take part of the event on a daily basis or request for accommodation in the form below. This does NOT INCLUDE extra expenses, transportation costs, or anything else not listed above. For any other questions or concerns regarding the costs, contact us.